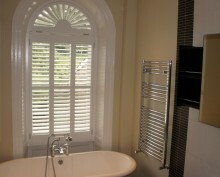 The look of shutters in bathrooms is just great!. 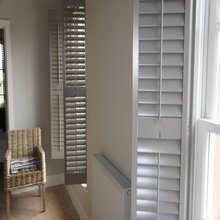 Our client for this project chose from our Kelly Hoppen range and we specified 89mm slats with concealed push rods. 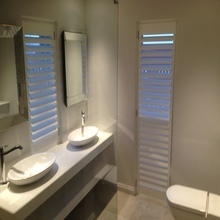 The contemporary style of the bathroom is perfectly complemented by the shutters and we think the room looks a real treat. The great thing about being based in Taunton is that it means easy access North to Bristol and equally easy access to areas of Devon to the south. One such area where we have really seen a boom in interest over the last year is Teignmouth. 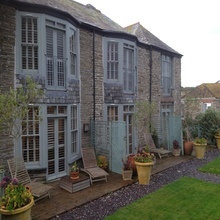 The shutters pictured here are in one of our new standard colours now available… more to follow on that soon! Nothing looks better on a classic Georgian arched window than a set of shutters. 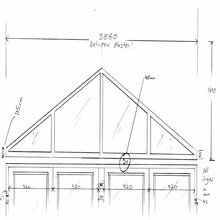 The three keys to a successful finished look are the design, the measure and of course the installation. Without being big headed…That’s what we do better than anyone else. These arched windows are in one of the most beautiful homes we have worked in and look amazing.